Short answer: go to www.annualcreditreport.com and request a free credit report. The best place to start is with a credit report. Credit reports are not perfect and they don’t list all of your debts but for most people the credit report will include most of your debts. There, however, are some items that are usually not reported on your credit report. Pay day loan companies, for example, generally do not go to the effort to report these loans to the credit bureaus. Small businesses also rarely report debts. That is why I recommend to my clients that they keep a stack of all the bills and legal documents they have received. Is it your bankruptcy attorney’s job to identify all your debts? People ask me this all the time and the answer is ‘no’. Not only is not his job, it’s also impossible for your attorney to identify all your debts. Your bankruptcy attorney can pull a credit report for you but, as I mentioned before, not all debts will be listed on your credit report. The person who knows your debts best, is you. I always pull a credit report for my clients for a couple of reasons. First, I want to be sure I can identify as many debts as possible. Second, people often don’t keep track of lawsuits or judgments filed against them. Third, and most importantly, I can import all the data from the credit report into the software I use to create the bankruptcy petition which saves me huge amounts of time. As a side note, years ago, when I was a mere legal clerk, I used to manually enter in the data from credit reports into the computer. It was horrible. My eyes and my fingers hated me for it. Although I pull credit reports for my clients, I encourage them to get and print out a copy of their credit report for our initial consultation. It helps both me and my clients figure out what debts they have. Once a year you can order your free credit report from www.annualcreditreport.com. It’s a good idea, whether you are considering bankruptcy or not, to review your credit report to make sure there are no errors. Can I keep the items I bought from RC Willey when I file for bankruptcy? Short answer: yes, if you want keep the item but you have the option to surrender the item. About 4 to 6 weeks after you file any chapter of bankruptcy, you are required to attend what is called the “Meeting of Creditors”. At the Meeting of Creditors, the trustee will ask you questions about your bankruptcy petition. The bankruptcy trustee is an attorney appointed to represent the creditors in your case. After the trustee has asked you some questions about your petition, he will ask “are there creditors with questions?” at which point any creditor can ask you questions. I would say a good three-quarters of my cases have no creditors that appear. When a creditor does show up it is generally the IRS, the Utah State Tax Commission, or RC Willey. “Why does RC Willey show up to the Meeting of Creditors when no other creditors show up?” RC Willey tends to be a little more aggressive, for better or for worse, than other creditors. When you purchased a piece of furniture or any item from RC Willey on credit, RC Willey will retain a secured interest in that item, similar to the secured interest a lender has in your car or your house. If for some reason you default on your loan, RC Willey has a right to take back the item that was sold to you, and they like to enforce this right. The reality is, however, they don’t want to take the item back from you. They want you to pay for the item. It is unlikely that RC Willey will recover more from acquiring the item and selling it at a discount than they will if you keep the item and pay them. So what options do you have when you have purchased something from RC Willey? There are usually three options. If you don’t care to pay for the item or it is a crappy item, you can tell RC Willey that you would like to “surrender” the item. Surrendering the item means you let RC Willey come take the item from you and whatever deficiency is left will be discharged in the bankruptcy. This is RC Willey’s preferred option. I always tell my clients, creditors care about one thing––collecting money. You do have the option to reaffirm the debt. When you file a bankruptcy, your contract with RC Willey is terminated. Reaffirming the debt means that you will voluntarily take on that debt again. If you reaffirm for the full amount, RC Willey will lend you credit in the future. This option is usually the option I recommend to my clients. People generally like the items they purchased from RC Willey and would like to keep them. You do have the option of reaffirming the debt for the market value of the item. This amount is generally about half the amount you owe on the item, although it varies depending on the item. The downside of reaffirming for fair market value is that RC Willey will NOT lend you credit in the future. For most people, this is not the end of the world. While I personally like RC Willey and I have purchased from them multiple times in the past, there are plenty of other furniture stores that WILL lend you credit. What if I want to keep some of the items I purchased from RC Willey but not all of the items? You can pick and choose which items you would like to reaffirm. Let’s say you really like a dining room table you purchased from RC Willey but you don’t like the sofa you purchased. You can reaffirm and keep the dining room table and surrender the couch. What if I do not have the item? Occasionally I will have a client tell me that they no longer have the item they purchased from RC Willey. I have heard all kinds of stories of what happened to items purchased from RC Willey from family members taking the items to foreign countries to ex-boyfriends and ex-girlfriends who have disappeared with the items. What happens then? RC Willey has two choices––give up or file a suit for fraud against you. I say they have two choices but in every case I have dealt with RC Willey they just give up. Suits for fraud are rarely filed and usually involve tens of thousands if not hundreds of thousands of dollars of debt. Any claim RC Willey files against you is not a secured claim but rather an unsecured claim. After all, they cannot expect you to surrender an item you do not have. How much does it cost to file a chapter 13 bankruptcy? Short answer: typically around $500 to $800 to get things rolling. I am going to split this question into two sections. First, I will discuss how much money you will need upfront to file. Second, I will discuss how much money you will pay in total over the course of your chapter 13 plan. The bulk of what a bankruptcy attorney will earn on a chapter 13 plan is earned through chapter 13 plan payments (an amount you will pay every month to the chapter 13 trustee) which take place over a three-year or five-year period. Because of this, your bankruptcy attorney doesn’t necessarily need any money upfront because he will get paid through the plan. But he is also taking a risk on getting paid because he may or may not be able to confirm your case. You will sometimes see attorneys advertise a “no-money-down” chapter 13 and these are the attorneys that will get paid solely through plan payments. You will still need to pay the Court filing fee but this can be paid in installments after you have filed. 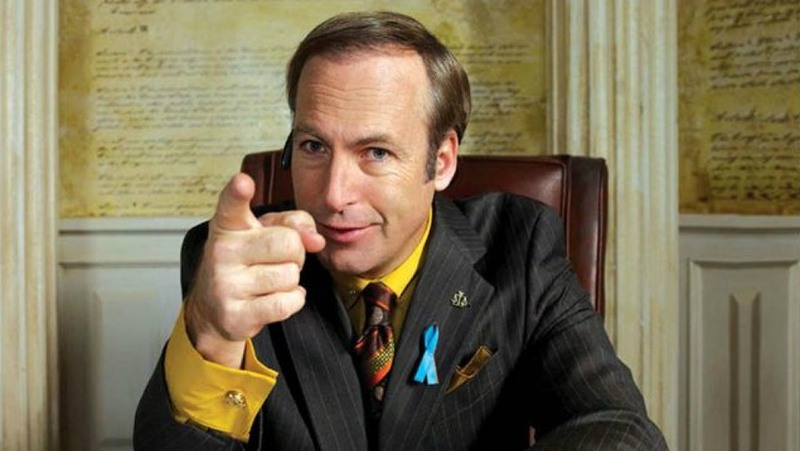 Many attorneys, however, have a different approach. Many chapter 13 attorneys will require between $500 and $800 to get your chapter 13 filed. Part of that amount, $310 to be exact, will be used to pay the Court for the filing fee. The rest of it will be used as attorney’s fees to cover the attorney’s risk just in case your case doesn’t get confirmed so he will at least be able to earn something. I bet most people who file for chapter 13 don’t know how much their attorney will make through the plan, although this is disclosed on the bankruptcy petition. 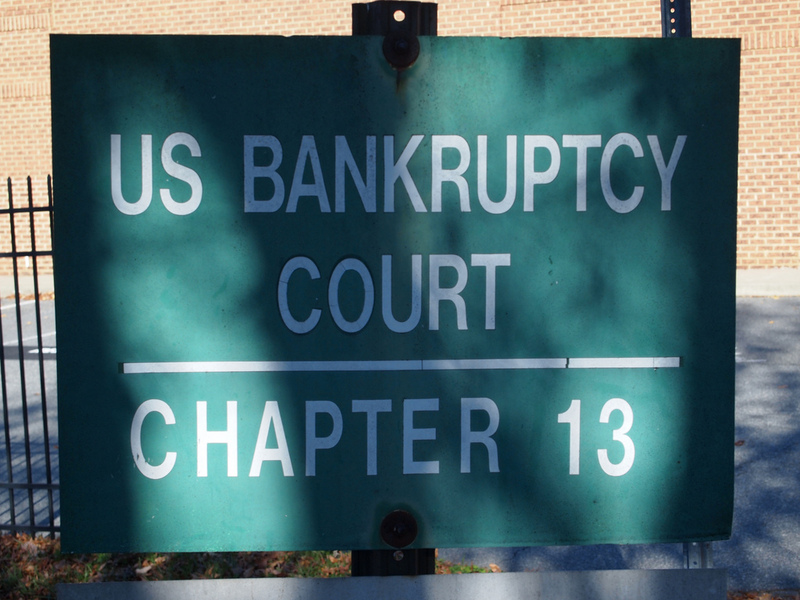 In 2010 the presumptive fees for chapter 13 cases were set by the bankruptcy court. Here is the breakdown from the court’s website. This amount will be paid to your bankruptcy attorney over the course of three or five years. The trustee will also get paid about 10% of the total amount of payments you make which can range from a few hundred dollars to a few thousand dollars. If your plan is not returning any money to unsecured creditors (the lowest amount you can pay) and you have a three-year plan then you will pay around $3,300.00 over 36 months which equals out to just under $100 a month. That is the bare minimum you will have to pay. If you have tax debts or other priority or secured debts then your plan payment, and consequently the total amount that you will pay, will be more. While this might seem like a lot of money, especially for those filing for bankruptcy, it does take quite a bit of time for a bankruptcy attorney to confirm a chapter 13 case. And the chapter 13 monthly plan payments are almost always easier to make than the alternatives. Short answer: there are two fees you will have to pay—attorney’s fees and the Court filing fee. 1. 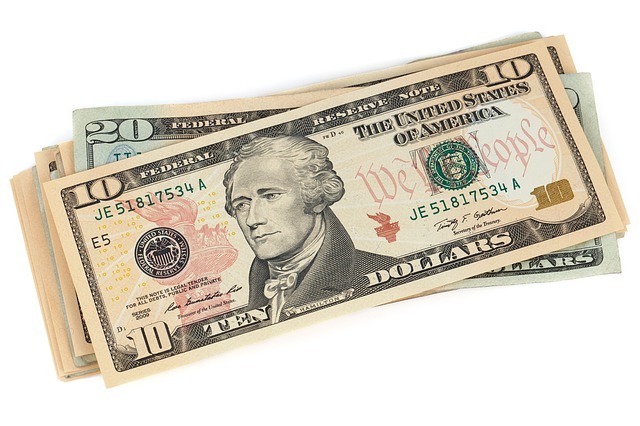 Attorney’s fees: depends on the complexity of your case but usually between $900 and $1,800. 2. Court filing fee: $335. Whenever I shop on Amazon and I do a search for a particular product, the first thing I notice is the rating of the product. I need (want) to buy quality stuff! The very next thing I look at is the price. If the price isn’t in the range I think I should be paying then I can easily dismiss the product and move on, period. I don’t need to take any more time analyzing the product. Price is an important factor to consider when filing for bankruptcy. If you are considering filing for bankruptcy that means funds are already tight. As I mentioned above, there are two fees associated with filing a chapter 7 bankruptcy—attorney’s fees and the Court filing fee. The attorney’s fees are determined by the attorney or the firm he/she works for. Because bankruptcy attorneys cannot collect their fees after the client has filed for bankruptcy, this means that most attorneys will quote you a flat fee. This differs from the general billing practice which most areas of law, and lawyers, use, which is an hourly rate. The amount of time I spend on each bankruptcy case varies. Some cases are fairly simple and I only spend a few hours on the case. Other cases are much more complex and require much more time to meet with the client, communicate to the client about the issues that need to be addressed, prepare the bankruptcy statements and schedules, draft additional motions, and attend additional meetings (i.e. extended 341 Meeting of Creditors, 2004 Examination). Because of this, I hesitate (as do most other bankruptcy attorneys) to simply quote a price over the phone without knowing much about the case. That being said, if I do not foresee many problems arising in your case (and I would say a good 70% of cases fit into this category) I charge around $1,200 (at the time of this writing) for attorney’s fees. I used to charge less when I was young warthog because I was hungrier for business. After I got some experience under my belt, I am much better now at estimating how much time each case will take me. In Utah I have seen attorneys charge as low as $800 and as high as $3,000 for a chapter 7 bankruptcy, but both of these are outliers. For your standard run-of-the-mill chapter 7 bankruptcy in Utah I would say most attorneys charge between $1,100 and $1,800. I always tell my clients that they can call around and get quotes from other attorneys. I probably shouldn’t do that, as it is definitely not in my financial best interest to do so, but I absolutely hate making my clients feel pressured. The Court filing fee is far less complicated. Every chapter 7 in every state of the union (because bankruptcy is federal law) the filing fee is $335. In total you are looking at spending between $1,500 and $2,200 total on a chapter 7 bankruptcy. You can file a bankruptcy without the help of an attorney but I would not recommend it (see here and here). When I was dating my wife I thought that we had similar tastes in TV shows and movies. It was only after we were married that I realized that we have very, very different tastes in media. But that’s ok, we both humor each other and will watch and try to enjoy what the other wants to watch. One of the TV shows that I don’t care for, but my wife absolutely loves, is “Dance Moms”. For the life of me, I cannot understand what is appealing about this show. The plot more or less exactly the same every episode. The parents’ behavior is akin to the behavior you see on The Jerry Springer Show (I almost linked to a youtube video showing highlights of The Jerry Springer Show but I thought it might be inappropriate for a legal blog; oh well). And the host’s voice, Abby Lee Miller, is grating to my ears. But, alas, my wife enjoys this show. I was surprised to see, then, in the news that Abby Lee Miller was charged with bankruptcy fraud. Apparently she did not disclose all of her income when she filed her bankruptcy petition. The best part is how Judge Thomas Agresti found out about the income. I occasionally have clients that do not want to disclose certain income, transfers, or assets on their bankruptcy petition. This is a very bad idea. Rule 9011 of the Federal Rules of Bankruptcy Procedure states that an attorney must make a reasonable inquiry into the client’s situation and circumstances. Any good bankruptcy attorney will not sign a petition that does not fully disclose all the information requested on the petition. Be sure to be honest and truthful with your bankruptcy attorney. How do bankruptcy attorneys get paid? Short answer for chapter 7: bankruptcy attorneys get paid in full by the debtor before the case is filed. Short answer for chapter 13: bankruptcy attorneys get paid through the chapter 13 plan. In a chapter 7 bankruptcy there are two fees you must pay: the attorney’s fees and the Court filing fee. Many firms, including my own, require that the attorney’s fees be paid in full before we file the bankruptcy petition. People contemplating filing for bankruptcy are usually paying bills to unsecured creditors or the wages are being garnished. When you file a bankruptcy all those payments stop. I advise people to stop paying their credit card bills or medical bills and instead pay me. In a chapter 13 there are also two fees that you must pay: the attorney’s fees and the Court filing fee. Each case is a little bit different but generally chapter 13 attorneys require between $400 and $800 upfront. This will cover the Court filing fee and will compensate the attorney for some of his time. The rest of the attorney’s fees are paid through the chapter 13 plan.